In allegiance with Google, and O'Reilly Media of Make Magazine, the free encyclopedia~ Wikipedia, bloggers, and millions of intelligent, expressive, free Americans, Chickenblog is on Blackout mode. Self-censored, to bring light to the rights and freedoms we are at risk of losing if Congress imposes SOPA~PIPPA on us. I'm with you on this, Natalie! We do need Chickenblog. the whole thing is just so illogical it has broken my mind. also - i got the email back today - i am at the registration table for saturday's FIRST festivities. : ) i am excited!! 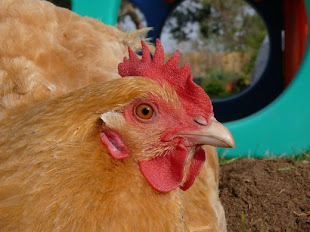 Chickens and Gardens :: Giveaway!